These V-Picks showed up in my mailbox today. 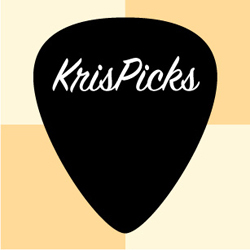 It was very nice of Vinnie and Mrs. V to send me a free Medium Pointed pick as a bonus to the four picks I ordered. Now I have to get down to trying these out to see which ones I like best. 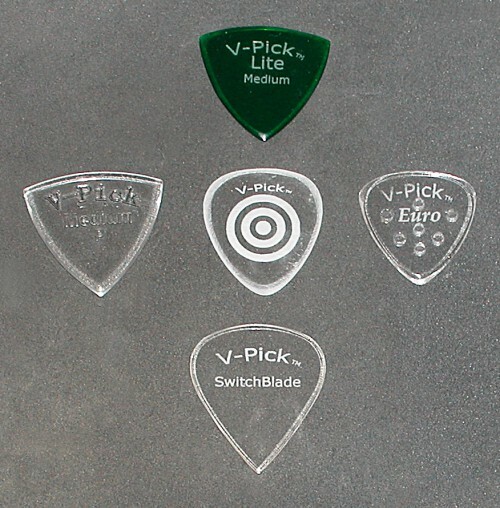 I will let you know what I think about this batch of V-Picks later… Keep pickin’! 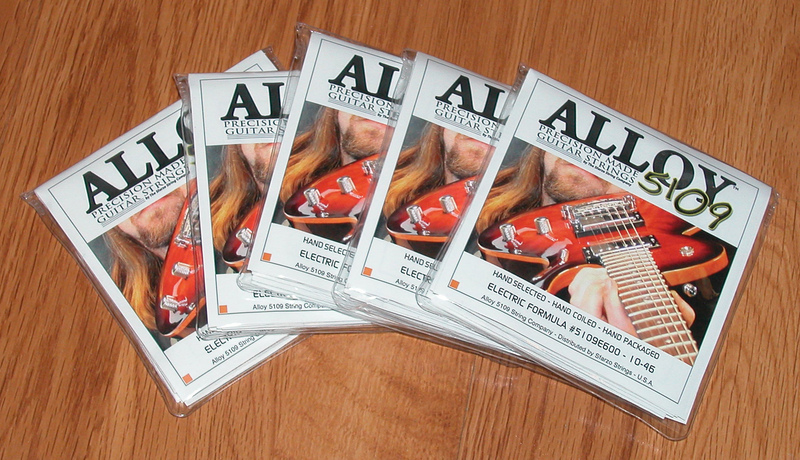 The Sfarzo Alloy5109 electric guitar strings I ordered came in the mail yesterday. If you like Ernie Ball Cobalt strings, give these a try. Your wallet will thank you. I found out about Sfarzo strings through stringsandbeyond.com from one of their weekly emails that I receive. Sfarzo’s Alloy5109 strings caught my eye, and I decided to purchase several different sets of Sfarzo strings to see how they stack up against other strings I have used over the years. To be specific I was looking for electric guitar strings that would perform similarly to Ernie Ball Cobalts, but at a lower price point. I must say the Sfarzo Alloy5109 strings filled that niche for my guitar playing needs. I use the Alloy5109 strings exclusively on my Godin LG Signature guitar. Here is a list of Sfarzo’s main line of electric guitar strings. I have tried all of these except the Nickelanium strings because Strings and Beyond does not carry them. If they had them I would have tried them for sure. At this point I purchase most of my guitar strings from Strings and Beyond. I’ll do blog post at a later date about why I like Strings and Beyond, and why they have retained my business. Sfarzo also has a Boutique/Custom line of strings that I have not yet tried. Therefore I do not have an opinion at this time on those. I will probably try them out down the road. Sfarzo’s custom packaged strings with your own logo, picture, or band name interests me, and their pricing is quite competitive. I think this is a pretty darn cool option for self-promotion. Sfarzo strings are available in a wide range of gauges and specialty sets for various tunings for 6 and 7 string guitars. Check out Sfarzo’s web site for more information. Sfarzo also has this cool web page that is called “Everything You Wanted to Know About Guitar Strings”, which is quite informative. I currently use 10 – 46 gauge strings on all of my guitars, except for my Les Paul Studio where I started using the Drop-D set that is a regular 10 – 46 set with the 46 gauge string swapped out for a 52 gauge low E string, which provides better string tension when playing in Drop-D tuning. I use Gibson and Godin electric guitars. I have strung up my Explorer, Les Paul Studio, and LG Signature (all of these guitars have tune-o-matic bridges) with several sets of Sfarzo strings over the past year and a half. Here’s what I have found. I really like how the Signature Pro and Alloy5109 strings sound. They produce a nice clear, fat, round tone that I really like. These are some of the best sounding electric guitar strings I have used for the price. The SFT Screamers sound on par with regular Ernie Ball Slinky, and Dean Markley Signature Series electric guitar strings. The Screamers are keeping good company there, since I use those other brands as well. I have experienced some premature breakage issues with the wound Sfarzo strings on my two Gibson guitars. The wound E, A or D string would break after only a few hours of playing time. I never had a problem with the plain strings breaking in this timeframe. At first I thought it was the bridge saddles, which I tried to sand smooth to no avail. Yeah sure, I could change my saddles to Graph Tech saddles, which would probably cure the problem, but I did not have this problem with the Dean Markley Vintage and Signature Series strings I was using previously. I’m not sure if Sfarzo’s wound strings are wound differently, or if the type of metal in the wire used to wind around the core strand is not compatible with my Gibson tune-o-matics. Maybe the core strand is more brittle than Dean Markley or Ernie Ball’s core strands. I ended up switching back to Dean Markley Signature Series strings for my Explorer and Les Paul Studio. 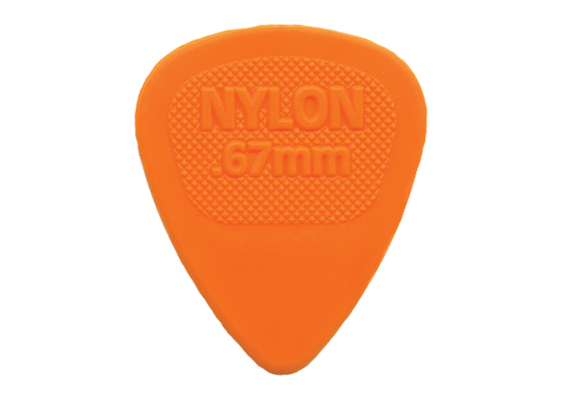 The wound string breakage problem does not exist with these strings. On the Les Paul Studio I swap out the 46 gauge low E string with a 52 gauge Ernie Ball Slinky string for drop D tuning to simulate the Drop-D SFT Screamer set I used to use from Sfarzo. A specific gauge set Dean Markley doesn’t sell, so I roll my own. I think Sfarzo’s Drop-D set is a great idea, and that every string manufacturer should make a similar Drop-D set. To be fair I must say your mileage may vary with your specific Gibson guitar, but this is what I experienced with my two Gibson electrics (1990 Explorer and 2003 Les Paul Studio). The previous mentioned wound string breakage issue I do not have with my Godin LG Signature that sports a Schaller tune-o-matic bridge. I happily keep this guitar strung with a 10 – 46 gauge set of Alloy5109 strings. I have also used the Signature Pro strings on this guitar to great effect as well. Both sets have made this guitar sound quite nice. I do prefer the slightly higher output from the Alloy5109 strings for this guitar. Sfarzo strings are definitely worth a try. Let your ears be your guide, and keep on pickin’. I use four electric guitars on a regular basis depending on the musical group I am playing with, the required tuning and the songs I happen to be playing at the time. These guitars are a Gibson Les Paul Studio, Gibson Explorer, Godin LG Signature and a Godin Solidac. I have used these guitars for several years, which has provided me ample time to become quite familiar with them. In the coming weeks I will go over what I like and dislike about each guitar. Please stay tuned. This new digital amp that Roland put out seems pretty cool. I’m usually not a big fan of digital technology when it comes to playing electric guitar live, except for some digital effects. However, digital amp modeling keeps getting better and better, year after year, especially for recording purposes. What Roland has done here seems pretty cool. I haven’t had the opportunity to try one of these out yet, but this amp does seem promising. Thanks to Sweetwater Sound for making this demo video.